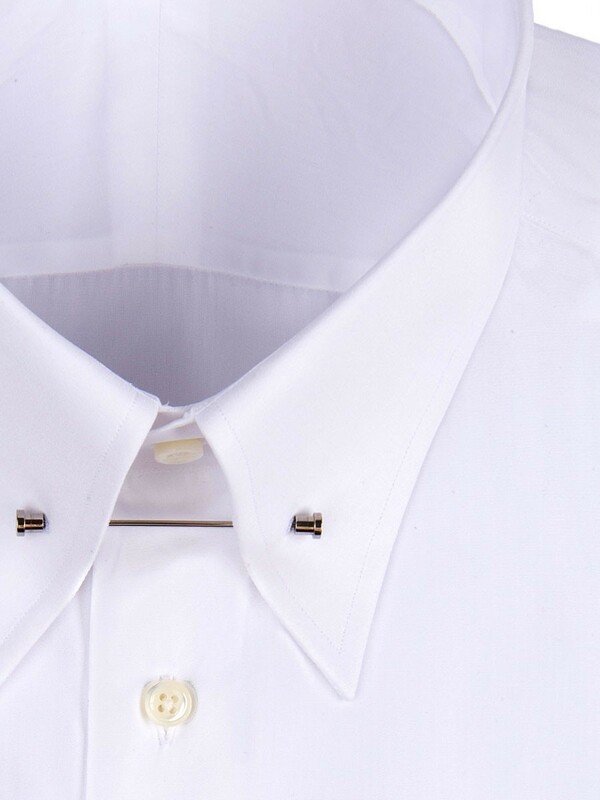 The most stylish details are often the unexpected ones. 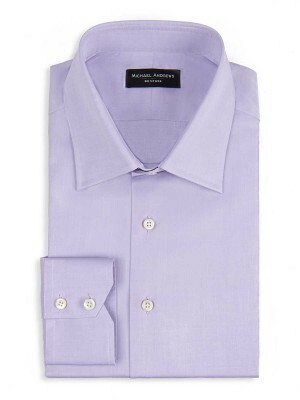 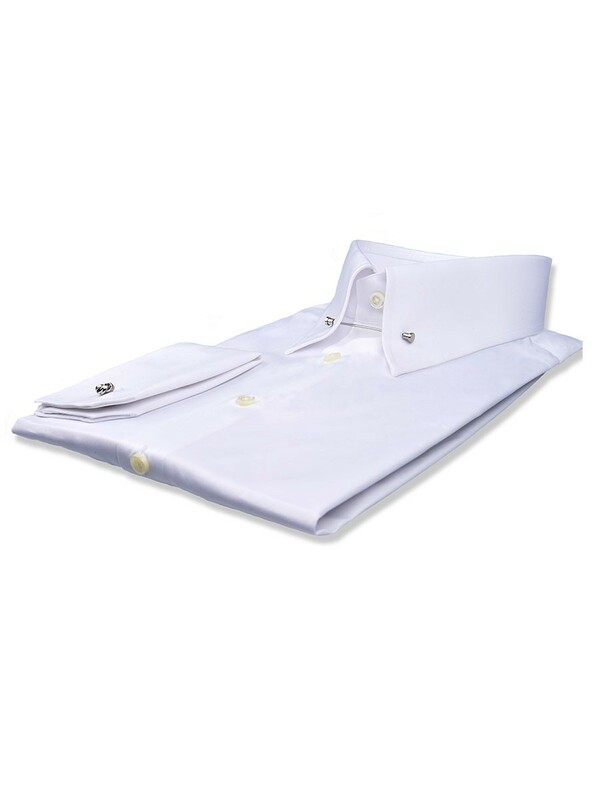 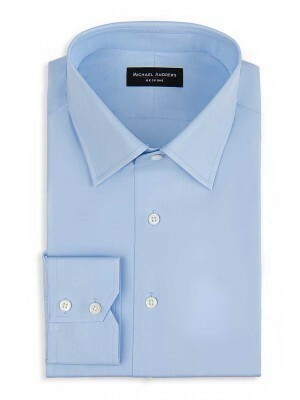 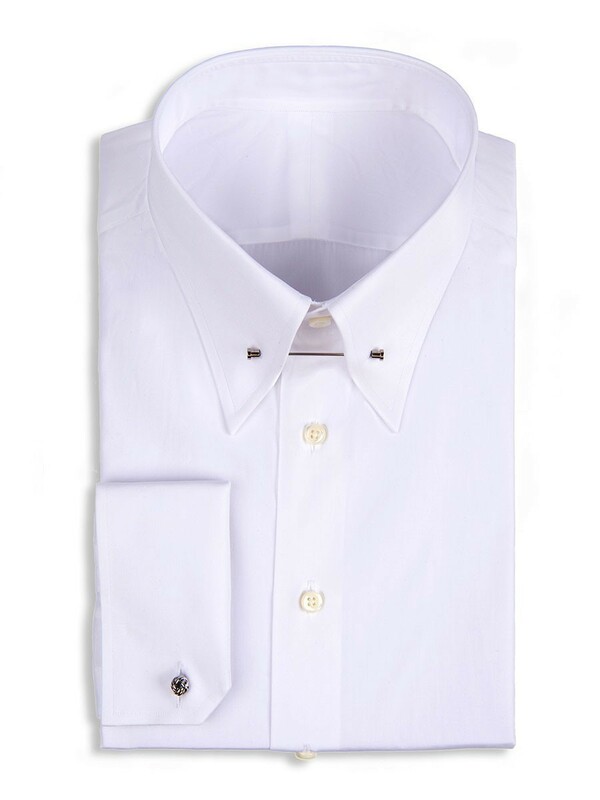 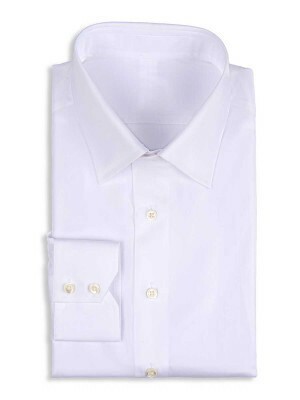 Show off in this white poplin shirt which features an eyelet collar and french cuffs and is made from premiere 100’s 2-ply Egyptian Giza 45 cotton from Thomas Mason. 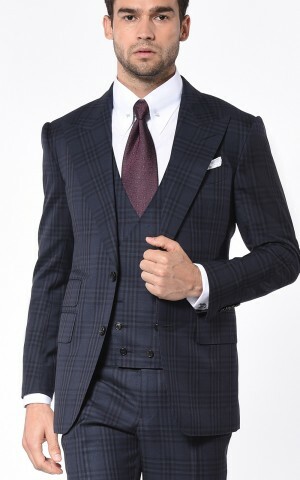 Keep in mind the collar pin on an eyelet collar is primarily worn on a formal basis.